Funky Kid Friday used to be known as Trendy Thursday and is a weekly linky for bloggers who love to show off their children's style. You can link up every Friday. I try to schedule posts so they are up nice and early on a but being but life with two young boys is very busy so this doesn't always happen! I do try to make sure it's still on every week though. 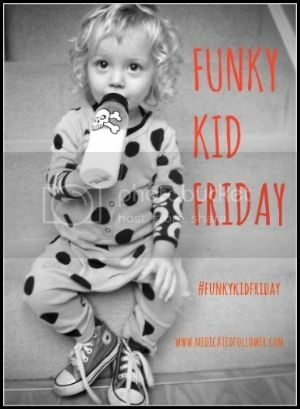 If you are a PR or company who would like to be featured for a Funky Kid Friday post, please do get in touch. I often use Funky Kid to showcase children's clothing companies and love to hear from brands, especially new ones! You can contact me via email (see contact page) or by leaving a comment here.